Look Forward To the New Year! As the New Year quickly approaches, remember to look ahead and not back. 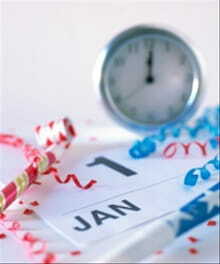 The new year comes with new challenges, and new opportunities. It is a chance to build and grow and put into practice all of the lessons 2016 has taught. Be optimistic, be positive, and ready to embrace all that the New Year has for you. Remember that all change begins from within, so the only thing that can hinder your advancement is you. You are well able to accomplish your goals and dreams and live a purpose driven life. 2017 is yours for the taking, let your passion allow you to possess what’s yours. From Olympic Gold medalist to multi-billionaires, all winners have three characteristics that are critical to their success. If you want advancement and achievement in your life, it will not happen without them. I like to call them the three P’s: Passion, Perseverance and Practice. Passion is the driving force of any successful person. Your passion is tied to your purpose and will be what gives you the faith to keep going. Passion gives you an exceptional love for your work and the impact it makes. 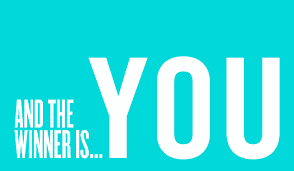 Your passion will distinguish you from the rest. Perseverance ensures working towards the goal despite any flaws, setbacks, disappointments or even gains. Ask any successful person and they will give you a list of flaws and challenges they have had to overcome. Perseverance is key, because without it your passion cannot be lived out. Practice takes commitment and discipline. Having a talent or a gift does not make you the best at it. The difference with winners is that they are willing to put in the work and the hours of practice that it takes to be the best. Even when they reach a certain level of achievement, they keep on going and may even increase their practice time to reach the next level. The bottom line is that, no matter how gifted or talented you are, you have to use and develop it to reach your potential. There is the ability within all of us to be a winner, but how we run the race will determine the level of triumph. Let Go or Hold On? We have all been there, trying to make the decision to hold on and keep pressing through, or to let go, learn the lessons and try something new. How do we know that, if we would just hold on for a couple more days, that big break won’t come along? How do we know if we are wasting our time, money or energy, and should cut our losses and run? The truth is, if we are asking ourselves this question, then there probably isn’t a clear cut answer. Trust your instincts. Take time to really concentrate on what you want. Let go of what others have said you should do, and what you think you should do. Let the Holy Spirit guide you through your fears and self-doubt so that you can come to a decision. Remember the purpose. Always be mindful of the reason why you started the process in the first place. Is the path you are on still aligned with the purpose? If it is, it well be growing and shaping into what you envisioned, progress may be slow, but it will be evident. Be honest with yourself and where you are going. There is no shame in starting over or starting again, just as there is no shame in holding on until all possibilities have been exhausted. What matters is that you remain well during the process, that you remain connected to God, and that you maintain faith in your purpose. Always remember the reason behind your goal. Keep yourself enthused by reliving the moment that it first came to mind. Remind yourself of the end result that you want to achieve. Break your goal into smaller tasks so that you can see your progression over time. Success comes with many challenges. There will be certain factors that will attempt to hinder or distract you. Get an idea of what those challenges will be and plan and prepare yourself to overcome them. You must visualize your goal, see yourself being or doing whatever it is that you want. Use imagery; create a vision board; write it down or draw it out; use positive language concerning your goal. Don’t doubt yourself. Know what you are capable of and believe that with your hard work and time you can achieve anything. Challenges can be a great thing because they teach us about ourselves, and cause us to develop the tools necessary to deal with difficulties. Use all the challenges that come your way to better yourself and understand how to use them to your advantage. Obstacles will come your way, and sometimes may even derail you. If you mess up, simply pick back up from where you left off. Do your best to stay on task: focus, plan ahead, get support, and develop habits that lead to achievement. 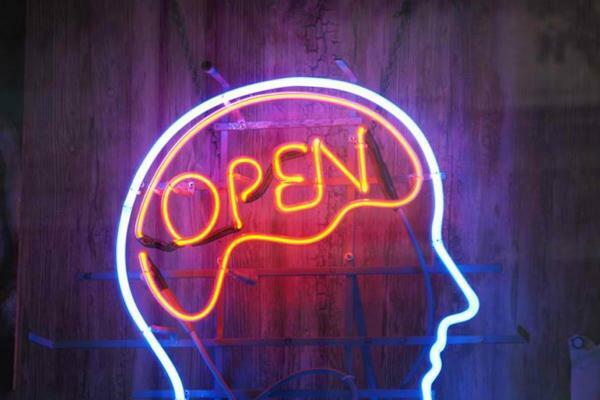 It is important to have an open-mind. To be open-minded means: to be willing to consider new ideas; unprejudiced. Without having an open mind, you won’t be unable to understand the perspectives of others who have differing opinions. Because of this, many people find it difficult to challenge the beliefs and behaviors that they have been raised with. Having an open mind allows you to experience new ideas and thoughts. When you have a closed mind you are unable to adapt and be flexible, and life will be less rewarding, satisfying and interesting. To be closed-minded also puts limits on your life, as you will never be able to truly move forward. Having an open mind provides opportunity to learn new things and build on what you already know. The most difficult thing about being open minded is admitting that there may be other views and possibilities that you have not contemplated. Open mindedness requires honesty and courage to re-evaluate, and maybe even amend, what you believe to be true. Having an open mind doesn’t mean that you change who you are, but it will allow you to meaningfully interact with others in the diverse world in which we live. We are rapidly approaching the New Year! This instinctively means that we will be assessing our achievements and setting goals for the year ahead. When you do your self-assessment, give yourself permission to be wherever it is that you are in your process. You are right where you are supposed to be right now. When you set your goals, be careful not to over pressurize yourself. Most people set goals according to where they think they should be in life, and not according to where they actually are in life. Maybe you have begun to regret some of your life choices and think that you should be further along in life. 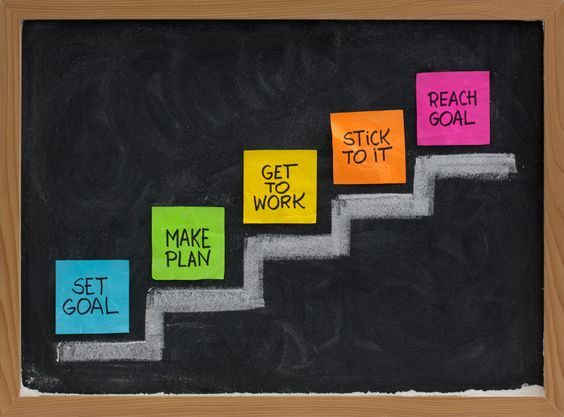 Setting goals with this frame of mind will lead you to overexert yourself and you will probably experience burn-out before you even get close to accomplishing your goals. Acknowledge and embrace where you are right now, and set your goals from that place. If you do this, your goals will be relevant, attainable, and challenging enough to cause personal growth.